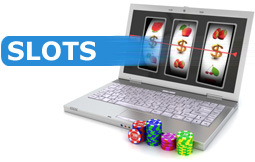 Online slots with a war zone theme. 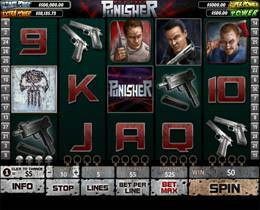 Fighter planes, bombers and world war 1 and 2 fighter pilots fighting in the skies and on land.Read our reviews of Call of Duty 4 slot, The Punisher:War Zone Slot and Lucky Lady Slot. This highly realistic war themed video slot will have great appeal for those who are action orientated. The 5 reel 25 pay line slot from Cryptologic includes great graphics and with good military symbols like soldiers, guns grenades, targets and Call of Duty logos you are quickly immersed in the action. The soldier symbols are the Wild and the Scatters are the Call of Duty logos. Trigger 5 soldiers on an active line and you are awarded a payout of 5000 coins. 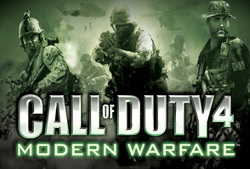 This is the appeal of Call of Duty 4 – you can bet from between $0.01 to $10.00 catering for the cautious to the bold player. The bonus game is entered when you get 3 or more of the Call of Duty 4 Scatter symbols and you start trying your shooting skills to win free spins and winning multipliers. If your aim is good, for each soldier hit you earn 4 free spins. Additional bonuses are earned if you get a head shot and if you are good enough to get 5 head hits you earn an air strike and reap the rewards of 3x, 4x or 5x multipliers for the free spins. Every time you make an enemy kill you get extra wins. Call of Duty can prove to be a very rewarding play and as it caters for large and small wagers it is well worth trying out! Another movie star joins the ranks of Marvel Heroes with launch of The Punisher: War Zone. Slot which is a 5 reel 9 payline slot from Playtech. Help Punisher get his bloody revenge - This lean, mean killing machine is out for revenge. Collect skulls to win free games with X2 multiplier. The bonus game gets activated when Punisher lands on reels 1 and 5 at the same time. You can also win 1 of 4 marvel mystery progressive jackpots which come up randomly. 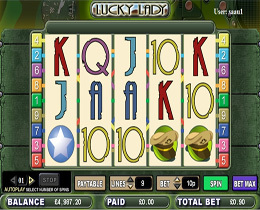 Lucky Lady is an online slot machine game with a "Military" theme which gives players many opportunities to win additional prizes over and above the normal prizes. Symbols that help form winning combinations in this exciting game include the Star, the Lady, Star, Plane, Bomb, Gauge, Hat, Letter, Insignia, Ace, King, Queen, Jack, Ten, and the Nine.